Kennards Hire and Generac | Mobile Products have played-on together in the latest 2018 Commonwealth Games as they supplied one of largest contracts for Hybrid and Battery powered mobile lighting units for the games, recently concluded. Generac | Mobile Products with a brand new fleet of 100 Hybrid Lighting Towers sold to Kennards Hire, enlightened this special event! This year’s Commonwealth Games have been focused on demonstrating leadership in sustainability and spearheading the green agenda by “delivering to international standards of best practice”. The organizational committee sets out a clear framework, which aims to achieve the status of the most sustainable games to date through efficient products and sourcing responsibly. 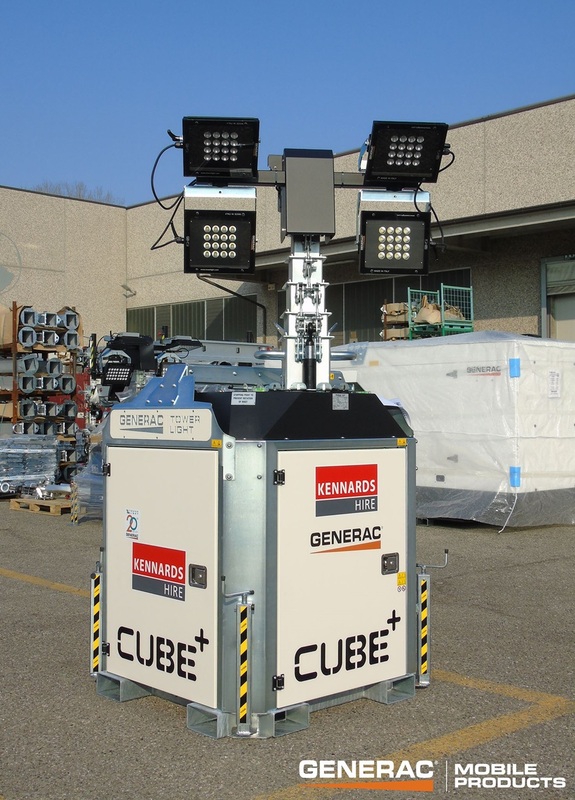 The Generac VT-Hybrid and CUBE+ Hybrid, mobile lighting towers, are suitable products for hirers such as Kennards who supply and support event organizers as they set out to achieve against their own inspirational sustainability goals. Both products have been selected for their run time efficiencies, soft LED lighting and reduced carbon emissions along with the low noise operation, which is an essential feature in the competitive games arena and for use during televised live events. Alessandro Rossi, Managing Director, said: “We would like to thank Kennards Hire for their continued trust and support in Generac Mobile® in Australia. We have been operating in the territory for over 10 years and as global manufacturer we understand what it takes to compete at such a high level. There are many synergies between our company and the ethos of the games and its participants”. 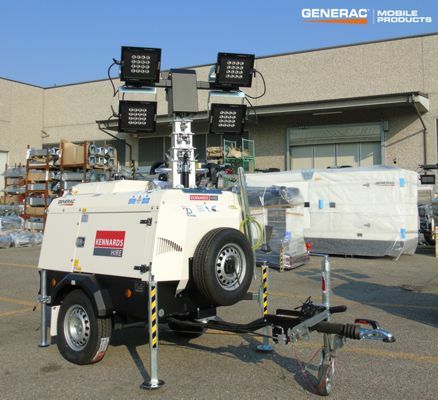 The VT-Hybrid range is available as either mobile or stationary lighting tower and has a run time of nine hours on its battery pack. Both units can be controlled independently from operators thanks to the digital timer and the darkness sensor fitted. With more than 150 branches across Australia and New Zealand, Kennards Hire is Australia’s number one family-owned supplier of high quality hire equipment. Founded in 1948, Kennards Hire is a shining example in the rental market, which always places the customer at the heart of everything it does and is a fundamental driver in the company’s mission. Generac VT-Hybrid and CUBE+ Hybrid are now available in every Kennards’ location to be showed and tested to our clients. Generac | Mobile Products operates a robust program of new product development delivering customer focused solutions for global hirers.